Catalonia is full of beautiful sandy beaches with turquoise waters and breathtaking natural landscapes in the backdrop. The Catalonian coastline attracts thousands of visitors every year to enjoy the pleasant Mediterranean climate, crystal clear waters and fine golden sand. 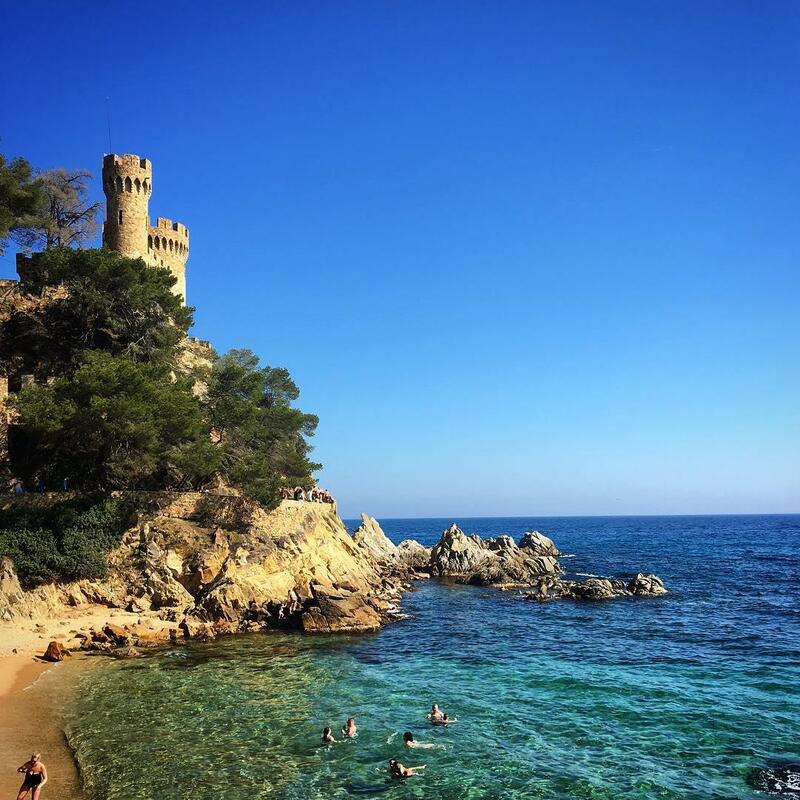 Stretching over three coastlines - the Costa Barcelona, Costa Brava and Costa Dorada, here is the ultimate guide to the best beaches in this region to help you pick your ideal destination to rent a beach villa in Catalonia. 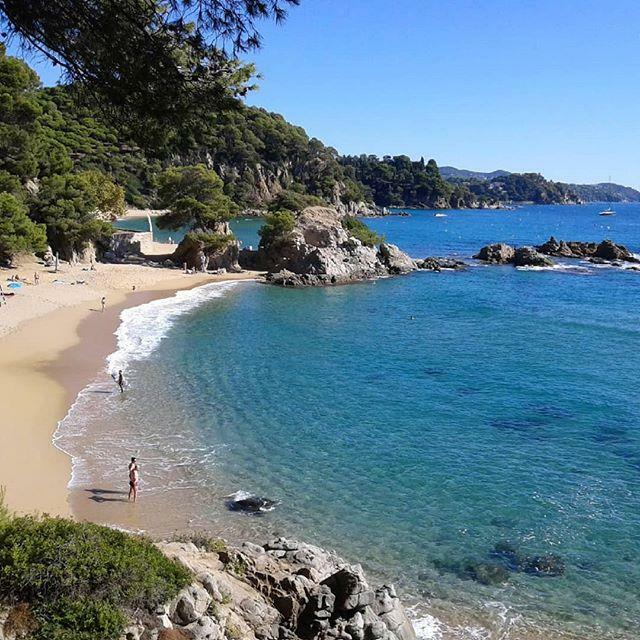 Some of the best beaches in Catalonia can be found on the Costa Brava. This coastline has a mild Mediterranean climate and a rugged terrain ideal for nature lovers. Cala Montgó is one of the best beaches in L'Estartit and the widest beach along this coast. At 200 metres wide it allows visitors to enjoy a relaxing day on the sand without being too close to their neighbour. Its round shape suggests that it may have been an ancient sinkhole that has expanded over the years. With fine sand, a surrounding pine forest and sparkling turquoise waters, Cala Montgó has been named one of the most beautiful beaches on the Costa Brava. In addition, the Montgrí mountain protects the bay from strong northerly winds, making the waves here fairly calm. You will find many services and facilities along the promenade. If you want to venture into the surrounding nature - the Montgrí Natural Park is located near the beach. Sa Caleta is a small cove at 110 metres long and 50 metres wide. Located near the centre of Lloret de Mar, it is the ideal place for family holidays to Catalonia. This beach is a little gem on the Costa Brava, with turquoise water, lush vegetation, rocky cliffs and the Plaja castle in the foreground. Sa Caleta is also popular with scuba diving enthusiasts, due to its rocky seabed that harbours an abundance of marine life. Bear in mind that during the summer, this small cove is popular, so get there early to secure your spot for the day. Cala Giverola is a small intimate bay just 200 metres long and one of the best beaches in Tossa de Mar. It is characterised by fine golden sand, crystal clear waters and the cliffs with lush pine forests that surround it. Easily accessible, it is just 5 kilometres from the centre of Tossa de Mar and can also be reached by boat. This cove has all the necessary services for a relaxing day at the beach. With showers, sun loungers, umbrellas, restaurants, chiringuitos, kayaking opportunities and boat trips on catamarans or glass-bottomed boats to admire the seabed. Take a scuba diving or snorkelling excursion to discover the plethora of algae and fish that hide amongst the rocks. 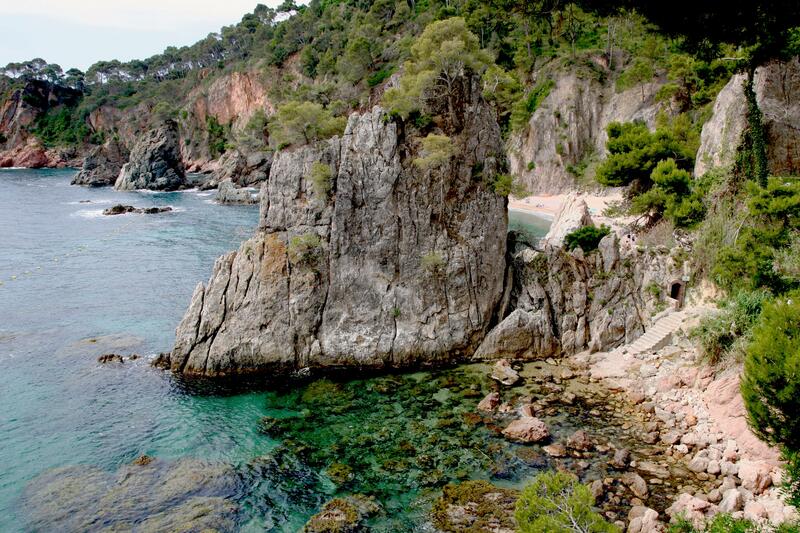 Cala Sa Tuna is an 80-metre long picturesque cove located in Begur. It has remained unspoilt and wild making it ideal for those seeking a beach close to nature. This beach is defined by the small colourful fishermen's houses on the waters edge and the boats anchored in the bay. Cala Sa Tuna receives reduced mass tourism because it is rather difficult to access. You can reach it via the Camino de Ronda - a walking route in a sumptuous natural setting, once you reach the beach it is worth it, ideal for those wanting to escape the crowds. During the summer, take shelter from the sun in the Cave of Capellans where locals sometimes go to play traditional Catalonian music. Due to the more rural location of this beach, there are no activities for children but there are showers and toilet facilities. Cala El Golfet is a protected cove at 75 metres long and 20 metres wide, overlooked by impressive rock formations. 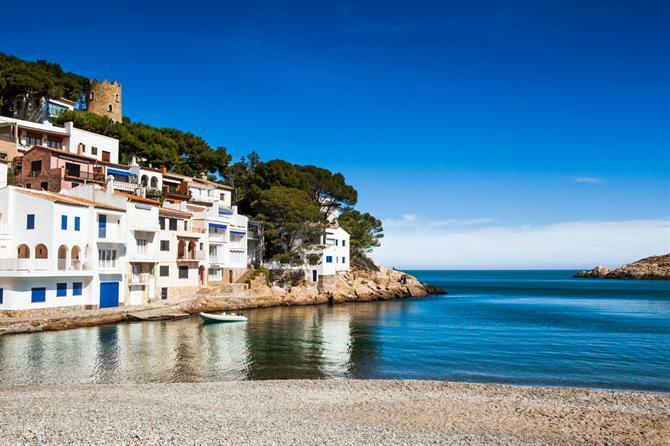 Just one of the many beautiful beaches in Calella de Palafrugell, it is located away from the main seaside resorts and remains relatively undiscovered, adding to its charm. There are no facilities or services in this wild beach, but you will find breathtaking nature. Reddish rocks emerge from the sea contrasting with the green pines and turquoise water. Cala El Golfet is one of the best beaches in Catalonia for divers and snorkelers due to its rocky seabed. Also from this beach, you have unparalleled views of the Formigues Islands. This beach can be accessed from the Camino de Ronda and on foot from popular seaside resort Calella de Palafrugell just 30 minutes away. Platja d'es Codolar is a small cove at the foot of the Tossa de Mar's historic old town centre and Torre de Codolar. Do not miss the breathtaking views from Vila Vella, 50 metres above the sea looking out across the Mediterranean. This little bay was once an important port of Tossa de Mar, today some fishermen still anchor their colourful boats in the bay, adding to the charm of the landscape. The crystal clear water is ideal for divers and snorkelling. Beware, that the sea becomes deep quickly, so it is imperative to monitor children diligently at this beach. This small cove is very popular during the summer due to its proximity to the town centre and holiday rentals in Tossa de Mar. Follow Calle del Portal del Socors, a busy street full of restaurants, bars and shops to reach the beach. Cala Treumal is a small cove at just 100 meters long and only 4 kilometres from Blanes, one of the best holiday destinations on the Costa Brava. 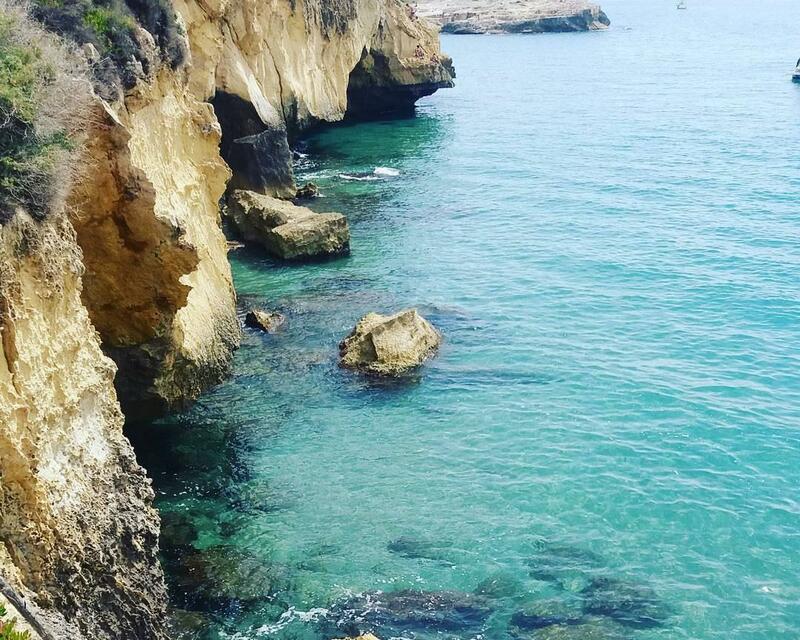 The turquoise blue waters, bright green pines and contrast of the black cliffs form a paradisiacal setting. The large rock that separates Cala Treumal from Cala Santa Cristina adds to the wildness of this creek and protects the bay from strong winds. 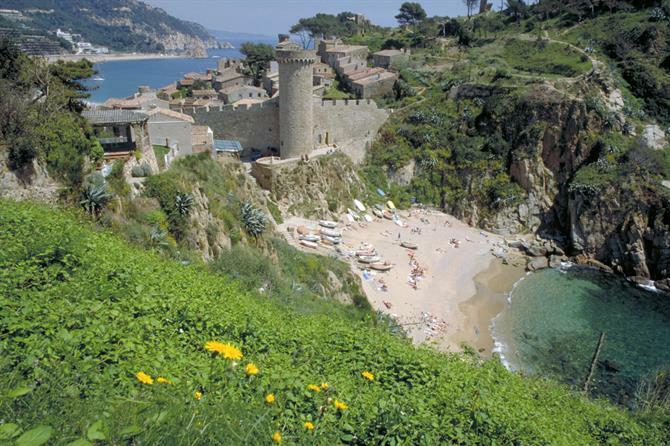 Cala Treumal offers everything you need for a beach holiday in Catalonia. Relatively easy to access, you will find restaurants on the beach, showers, hammocks, umbrellas and opportunities to rent nautical equipment. It should be noted, however, that the beach has a significant gradient that can be dangerous when the waves are strong. To protect yourself from the sun for a while, you can access Pinya Rosa Botanical Garden via a path and admire more than 7,000 species of tropical plants. The Costa Dorada, or "Golden Coast" is aptly named for its countless golden beaches with crystal clear waters, lined with palm trees. Quiet and shallow waters make this part of the Catalonian coastline perfect for a family beach holiday. You will also find spots for nudists and bays for water sports enthusiasts. Platja d'Altafulla, which extends from Cape Gros to Roca del Gaia, is one of the largest beaches in Catalonia. It has Blue Flag status due to its cleanliness and water quality. The sea is calm and the water is transparent and shallow. Sailing enthusiasts will find a sailing club at this beach, famous for hosting international championships. Just up from this beach, you will find the medieval town of Altafulla, one of the best places to stay on the Costa Dorada. Platja de Tamarit is a 1750 metre long beach surrounded by pine trees and overlooked by the majestic Tamarit Castle. 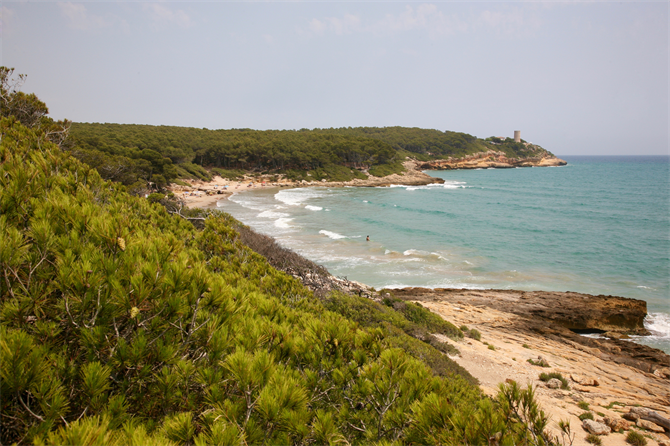 In addition, it is right next to the Riu Gaià Nature Reserve in Tarragona, perfect for nature walks. Platja de Tamarit is the ideal beach for families. With calm waves, clean transparent water and fine golden sand it also has been awarded, Blue Flag status. You will find showers, toilets, sun loungers, parasols and a first aid station. 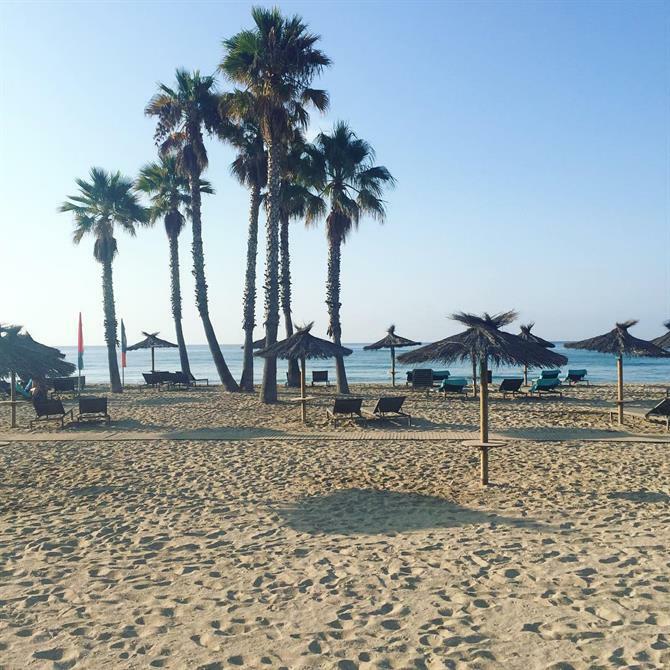 If you fancy eating some local delicacies, head to the many restaurants and chiringuitos at the top of the beach. Just 1.5 kilometres from the historic town of Tarragona, you will find the beautiful beach of Calafell. 5 kilometres of golden sand and calm shallow waters. Playa de Calafell was one of the first beaches in Catalonia to obtain ISO 14 001 and Blue Flag certifications due to its cleanliness and quality of water. Take advantage of the activities on offer such as sailing, jet-skiing, paddle boats, children's playgrounds and venture up to the town to see impressive Roman ruins. Cala Fonda is also called Waikiki beach because of its likeness to beaches in Hawaii. It is a small creek 200 metres long with fine sand and shallow turquoise water. 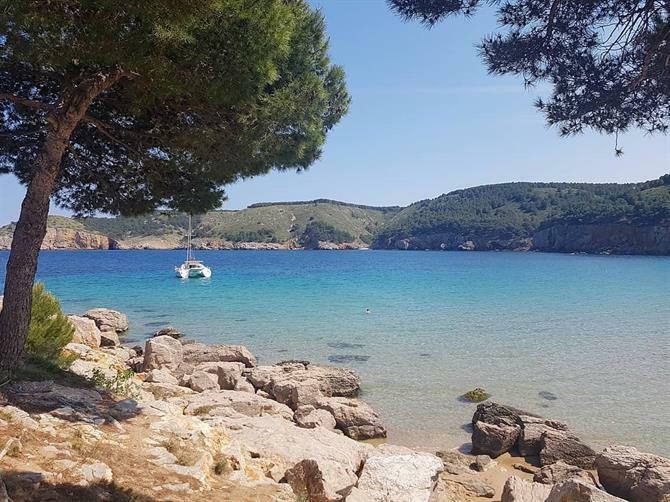 Located 10 kilometres from the holiday rentals in Tarragona, it is not particularly easy to access but this is why this cove retains its preserved and unspoilt beauty. Cala Fonda is a quiet and intimate spot that is also popular with naturists. Surrounded by cliffs and pine forests, this is the ideal place for those seeking some privacy, away from the summer crowds. If you plan to spend the day, do not forget to bring your beach essentials because you will not find any services or facilities here. Platja de Riumar is located in the Delta del Ebro reserve which constitutes one of the largest humid areas in the Mediterranean. In this protected area there are gardens with fruit-bearing trees, rice fields, and if you wait until the right time of year to visit, you will be able to observe the delightful sight of migrating and nesting birds. Uncrowded, it stretches over 4 kilometres, boasting beautiful dunes, shallow water and fine golden sand. 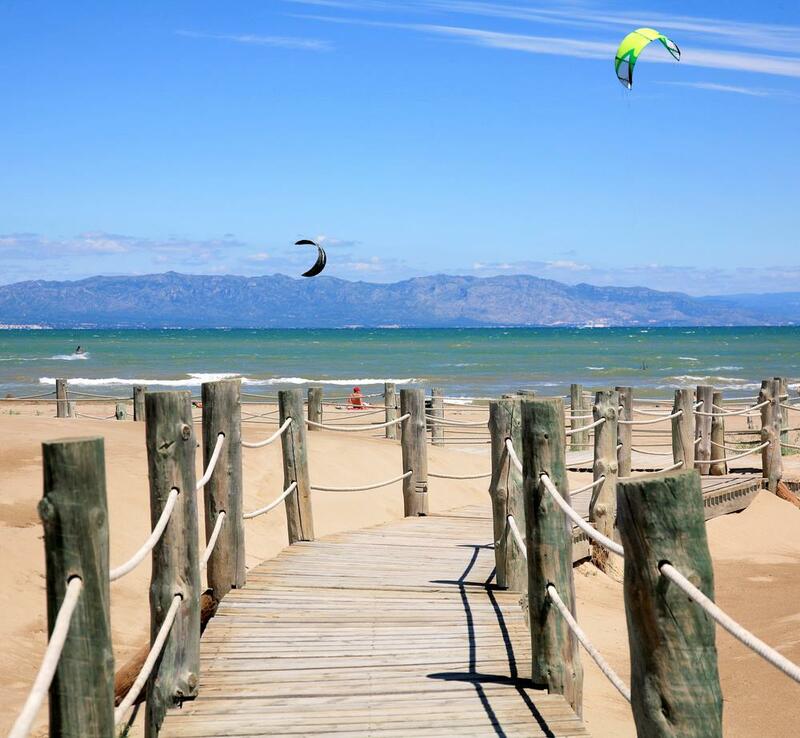 For water-sports enthusiasts, due to the conditions of its location, Platja de Ruimar is perfect for kitesurfing and surfers. In addition, you will find all the necessary services and equipment: showers, boat rental, first aid station, bars and restaurants. 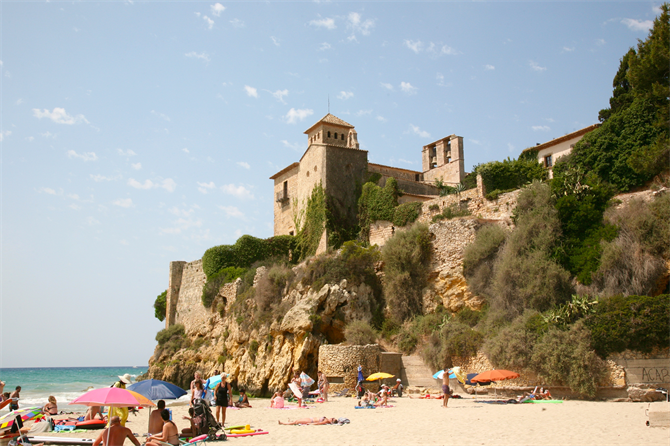 Platja de Cunit is 50 kilometres from Tarragona and halfway between Salou and Barcelona. Relatively protected from mass tourism, you can admire its beautiful nature surrounded by mountains. Platja of Cunit is 2.5 kilometres long and has seven piers that each form a cove, equipped with facilities. 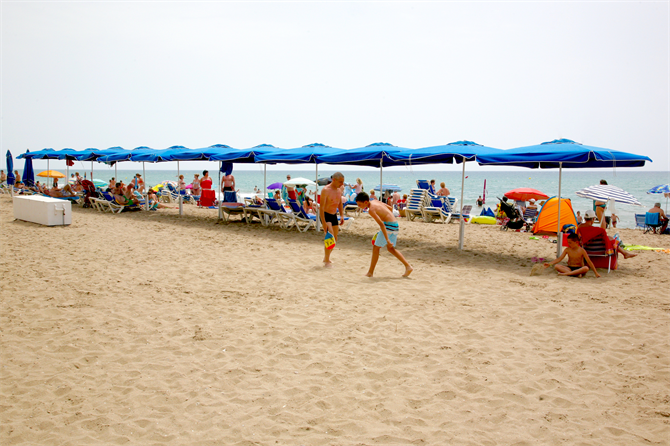 Find sun loungers, parasols, showers, volleyball nets and areas designated for beach football. You can also hire a pedal boat and partake in water activities. This beach has lifeguards present during the summer months, making it an ideal destination for a family holiday. Stroll along the sea promenade and indulge in one of the small "chiringuitos" that offer mouth-watering local cuisine.